Sink into the incredible luxury and design of our Achieve Power Reclining Sectional! 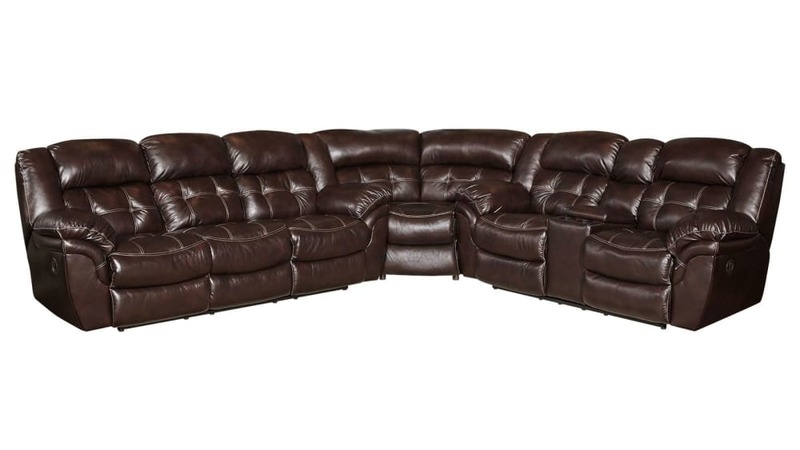 This beautiful chocolate brown piece features a power reclining mechanism to help you and your guests relax effortlessly! Enjoy your next movie night with a spacious and functional console, take an afternoon nap on the thick cushions, or curl up on a Sunday afternoon with a great book! Gallery Furniture can deliver to your Houston home TODAY!